This Seville solid polished brass 6 light traditional chandelier features an ornate hexagonal central column and cast scrolled arms, with candle style fittings, candle pans and tubes. Fitted with spring clips inside the candle tubes for the choice of glass shade if preferred. A lovely, quality ceiling light that will illuminate your room whilst the polished brass reflects and shines. 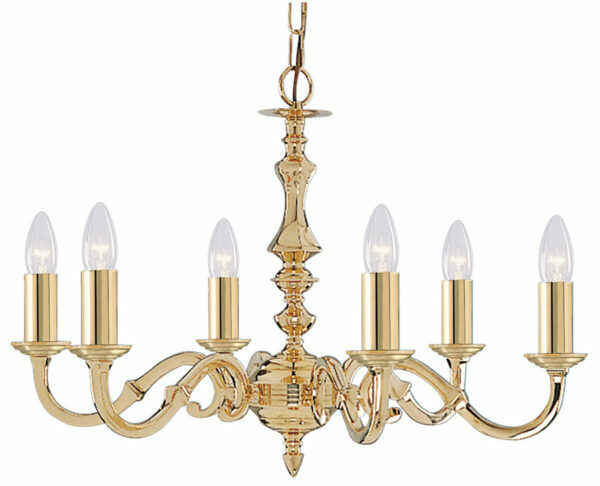 Add a touch of classic European elegance to any ceiling of your home. Height adjustable at the time of installation, please see the technical data for measurements. 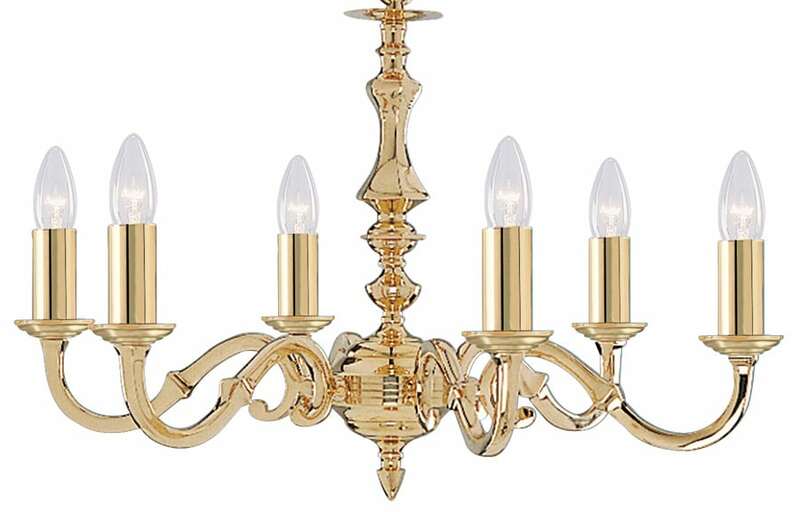 Supplied by Searchlight who manufacture some of the best traditional and modern classic designs such as the Seville solid brass 6 light traditional chandelier you see here.